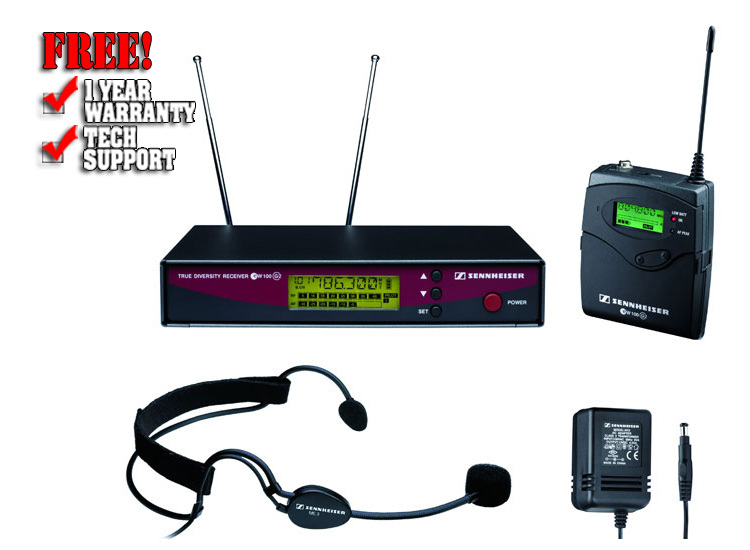 Simply the best, most affordable way to get professional caliber UHF wireless! Sennheiser's original evolution series introduced startling new technology and innovative design. Now, they're again pushing the limits of performance, audio quality, ruggedness and ease of use. With redesigned features such as much smaller body packs, larger backlit LCD displays, AutoScan function on all receivers, 36MHz switching bandwidth, and more, evolution G2 is today's most advanced, best sounding, easy-to-use, road-worthy wireless system. The amazing 100 Series offers 4 switchable presets (reprogrammable to any of 1,440 available frequencies), a true diversity, and - unlike other wireless systems at this price - metal construction that will stand up to the rigors of life on the road. The system features variable-level 1/4 in. TRS and XLR balanced connectors. Power Supply: 10.5-16V DC, 12V nom.